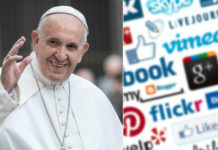 Pope Francis on Wednesday appealed for “a respectful and responsible attitude towards Creation” ahead of the third World Day of Prayer for the Care of Creation. 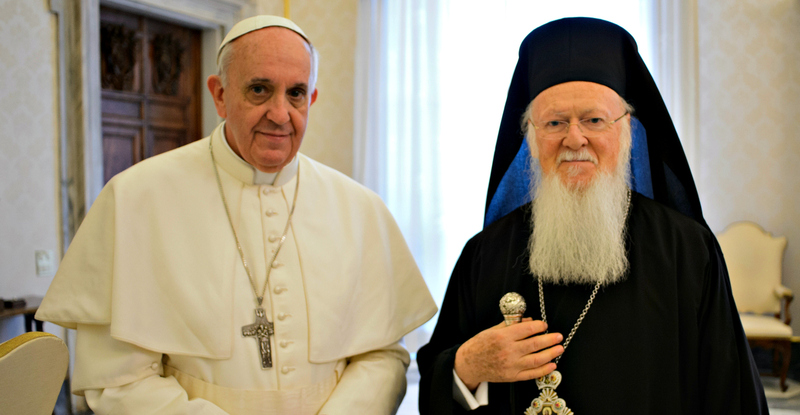 At his General Audience, the Pope said he and “our dear brother Bartholomew, Ecumenical Patriarch of Constantinople” had prepared a Message to be released on September 1. 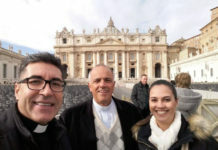 Pope Francis declared September 1 as World Day of Prayer for the Care of Creation in 2015 and celebrated a special Liturgy of the Word in St. Peter’s Basilica to mark its first occurrence. The story of creation presents us with a panoramic view of the world. Scripture reveals that “in the beginning”, God intended humanity to cooperate in the preservation and protection of the natural environment. At first, as we read in Genesis, “no plant of the field was yet in the earth and no herb of the field had yet sprung up – for the Lord God had not caused it to rain upon the earth, and there was no one to till the ground” (2:5). The earth was entrusted to us as a sublime gift and legacy, for which all of us share responsibility until, “in the end”, all things in heaven and on earth will be restored in Christ (cf. Eph 1:10). Our human dignity and welfare are deeply connected to our care for the whole of creation. However, “in the meantime”, the history of the world presents a very different context. It reveals a morally decaying scenario where our attitude and behaviour towards creation obscures our calling as God’s cooperators. Our propensity to interrupt the world’s delicate and balanced ecosystems, our insatiable desire to manipulate and control the planet’s limited resources, and our greed for limitless profit in markets – all these have alienated us from the original purpose of creation. We no longer respect nature as a shared gift; instead, we regard it as a private possession. We no longer associate with nature in order to sustain it; instead, we lord over it to support our own constructs. 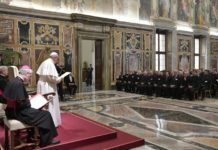 We urgently appeal to those in positions of social and economic, as well as political and cultural, responsibility to hear the cry of the earth and to attend to the needs of the marginalized, but above all to respond to the plea of millions and support the consensus of the world for the healing of our wounded creation. We are convinced that there can be no sincere and enduring resolution to the challenge of the ecological crisis and climate change unless the response is concerted and collective, unless the responsibility is shared and accountable unless we give priority to solidarity and service.